Alexander Jacobus Kropholler was born in Amsterdam on July the 26th of 1881. His father was an office clerk and later traded in goods such as tin and cotton. It was an artistic family; the father built violins in his free time, two of the sons became musicians, one daughter had a great talent for drawing and another daughter, Margaret, would become the Netherlands' first female architect. Young Alexander himself had as a child become fascinated with architecture and made drawings of buildings he saw and how he could improve them.. The family was protestant and Alexander's mother wanted him to become a minister. Instead, from 1892 until 1896 he was trained as a carpenter. During his school holidays he took extra lessons from a teacher who taught him the basics of architecture. He was employed by architect J. Beirer for a while, for whom he became an overseer, followed by a position as a draftsman at a construction firm. 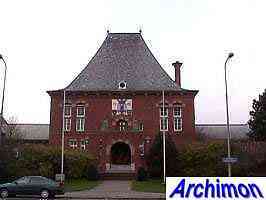 By 1902 the autodidact Kropholler had become an architect. He formed a partnership with his friend J.F. Staal which lasted from 1902 until 1910 and was based in Amsterdam. 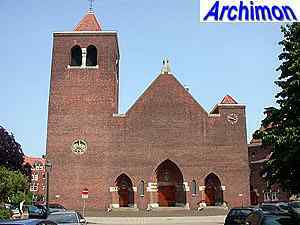 During this period the two architects designed several buildings in styles that are closely related to Jugendstil, although the influence of the famous architect H.P. 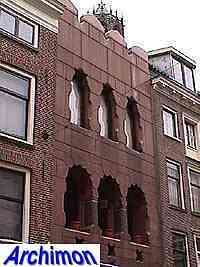 Berlage was often present as well. 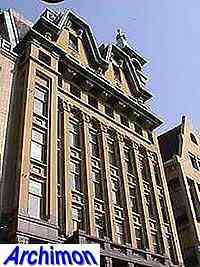 The insurance company De Utrecht was an important commissioner for the two architects. In 1910 a conflict between the two resulted in a split. Despite Staal's marriage to Kropholler's sister Margaret in 1936 (who was a gifted architect herself), the two did not speak to each other since. Different ideas about architecture were an important cause to the conflict between Staal and Kropholler. While Staal was fascinated by high rise buildings in the USA, Kropholler came under the influence of architects P.J.H. Cuypers and H.P. Berlage. And while Staal had become a socialist and even had communist sympathies, Kropholler in 1908 had converted to the Roman Catholic faith. That same year he had his first assignment for a religious building which, although formerly still part of the Kropholler and Staal partnership, he fullfilled alone. 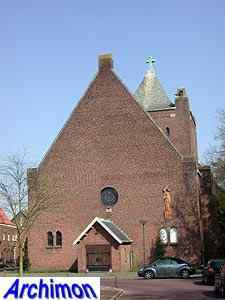 He became a member of the catholic artistic circles in Amsterdam, as well as the catholic artists' association AKKV. 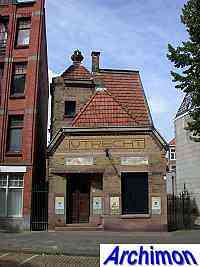 He continued to live in Amsterdam until 1914, when he moved to Scheveningen. In 1922 he built himself a mansion in Wassenaar, where he lived until he died in 1973. After his conversion to catholicism, Kropholler designed many churches, often as part of a complex with houses, schools and other buildings. As a conservative catholic and a nationalist, Kropholler had developed a strong interest in traditional architecture, both of his own country but of Scandinavia as well. The work Kropholler designed for most of the rest of his career is remarkably consistent, with little or no evolution in style. 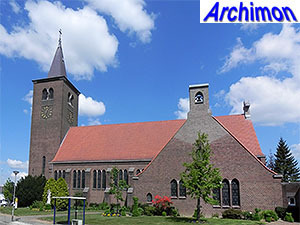 As one of the first architects in the Netherlands Kropholler, inspired by new ideas about liturgy, made a break with the tradition of long cruciform, three-aisled churches. Answering to the need for new churches in which all people present would become part of the ritiual instead of just watching it, or not being able to watch it all, Kropholler designed compact churches with wide and straight spaces without pillars or transepts and with side-aisles, if present at all, serving strictly as walkways. All eyes were to have an undisturbed view at the choir, which was illuminated by windows from above and from the sides. Kropholler re-introduced the chancel arch to mark the line between nave and choir. 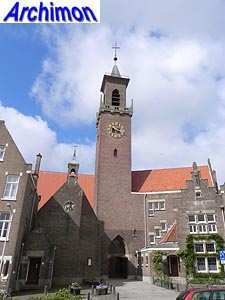 This type of church became known as christocentric and Kropholler's direction, first shown with his church in Beverwijk, was followed by many architects, such as C.M. van Moorsel and B.T. Koldewey. Influenced by H.P. 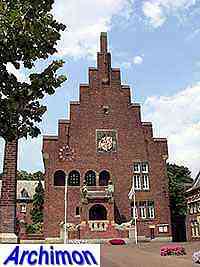 Berlage, Kropholler used traditional materials, mainly brick with natural stone at places that need emphasizing only. The walls are thick, the naves are unvaulted, and the wooden beams that carry the roofs are kept in view. 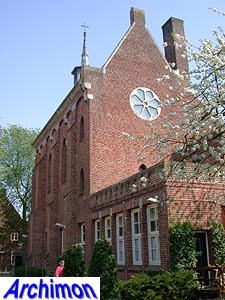 Unlike Berlage, Kropholler took much of his inspiration from architecture of the past, but exaggerating traditional elements; huge stepped gables and enormous buttresses are more of a rule than an exception. However, he was not always true to his own principles. In his churches he often used hollow buttresses, and a supposedly solid oak wood beam could be made up using plywood disguising a steel H-profile beam. Kropholler was one of the leading architects of Traditionalism and was a major influence on the circle of architects around M.J. Granpré Moliere, professor at the Delft Polytechnic, that later became known as the Delft School. However, he was never a member of the Delft School, although he was contributor and a member of the editorial board of the AKKV magazine "R.K. Bouwblad" for several years, the magazine that dogmatically championed the ideas of the Delft School and left little room for alternate views. He also attended the AKKV's yearly conferences in Huijbergen a couple of times, where Granpré Moliere and his views were omnipresent. Granpré Moliere and Kropholler didn't like each other, but shared many of the same ideas. In 1932 he ceased his membership of the general architects' society BNA out of discontent with the BNA open support for modernist styles such as Functionalism and its hostility towards Traditionalism. His ideas about architecture and society eventually resulted in his membership of the fascist organization Nationaal Front. During World War Two Kropholler continued to work and published several articles in architectural magazines controled by the nazi's, who shared his preference for traditional architecture. After the war he was sentenced for collaboration by a tribunal of colleagues, mostly BNA members, and forbidden to publish until 1950. Although he soon continued his career, his golden years were over. He now shared his office with R.J. Veendorp, who had been working for him as a draftsman since 1928 and now was his full companion until in 1967 it was disbanded. Not much later Kropholler retired. He died in Wassenaar on May the 17th of 1973. The following is a still incomplete list of Kropholler's work. Building of yellow brick, with Jugendstil details. Building inspired by the American skyscrapers of that time. Facade in several types of natural stone. Building with a very open facade of granite. Brick building with Rationalistic and Jugendstil elements, with a wooden,zinc-clad tower on top. 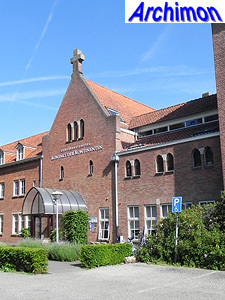 Built on the 'De Utrecht' estate. Facade of polished red granite, inspired by Moorish architecture. Now a shop. Addition of a new portal and tower to a Neo-Romanesque chapel. By Kropholler alone. 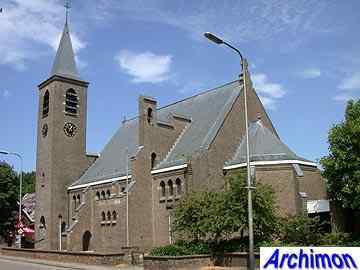 Wide aisleless building, built to serve as a church while construction of the permanent church lasted. Demolished in 1925. 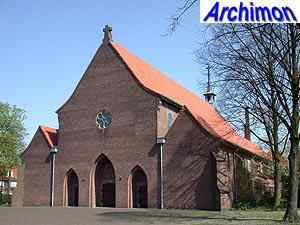 Kropholler designed a complex comprising a church, a chapel and various houses. Apart from the houses Kropholler only completed the chapel and the lower part of the tower, due to some disagreement. C.M. 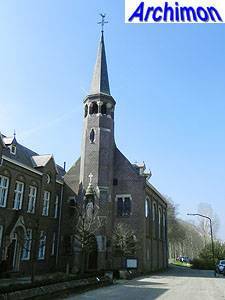 van Moorsel designed a new church which was built in 1924-1925. Kropholler completed the tower in 1965. Wide aisleless church, with many elements Kropholler would continue to use; heavy buttresses, an accentuated chimney, small windows and a minimal use of natural stone and ornaments. Also a rectangular saddleback tower and a rectangular choir. Originally, only the choir and five traves of the nave were built, closed off by a temporary facade. 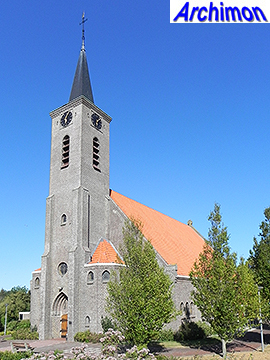 The church was completed with the current nave and tower in 1927-1928. An earlier design included a completely different square tower with heavy butresses, positioned centrally at the front. Church in Traditionalist style. Tower with portal at the side of the front. Choir lower than the nave. Demolished in 1924. No further details. A church with an intentional 'village church look'. Square tower with spire. Polygonal choir. The church was built diagonally on the terrain in order to get the choir at the east-side. 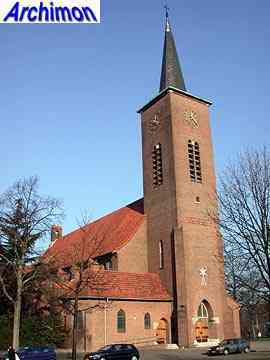 Kropholler rebuilt a neo-Gothic church. Added tower, choir and tower. Simple church in Traditionalist style. A tower was planned but not built. 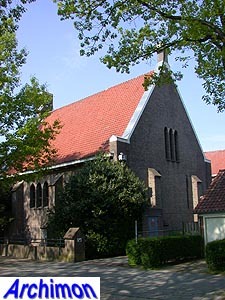 In 1951 the church was extended and given a new front, also by Kropholler. Five houses on the estate of the Kröller-Müller family, in traditional style. Walls of brick, the upper part of the gable with wooden planks. Shagged roofs. Aisleless church in Traditionalist style. Wide three-aisled towerless basilica in Traditionalist style. Damaged by bombs in 1943 and in 1946-1947 rebuilt to a design by C.M. van Moorsel. Kropholler also designed two schools that formed a complex together with the church, and to which in 1926 the St. Rosa convent was added. Complex with a church, a monastery, a school and houses. 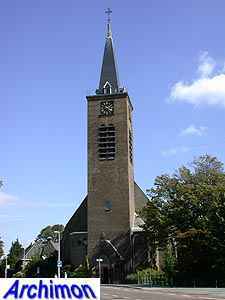 The church has a large, closed facade and a big square crossing-tower. Complex in Traditionalist style, with chapel. 86 houses in Traditionalist style. Church with a T-shaped floorplan, with the altar in the center. 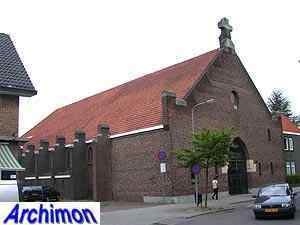 One of Kropholler's most important churches. Demolished 1973. Wide and long basilica in Traditionalist style, with a saddleback tower at the front. Built as a mission church for the Congregation of the Immaculate Heart of Mary (CICM). The design was made in 1928 or earlier, construction was in 1932-1933. Kropholler designed at least one, perhaps two more mission churches for the congregation of the White Fathers, to be build near Lake Tanganyika. One of these was very similar to the church in Kinshasa. No further details. 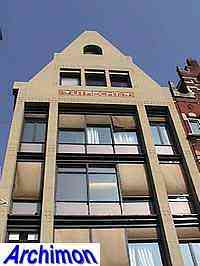 Office-building for insurance company Noord-Hollandsche Levensverzekering-Maatschappij. Tall roof with stepped gables, entrance at the corner. Two older buildings rebuilt into a single building. 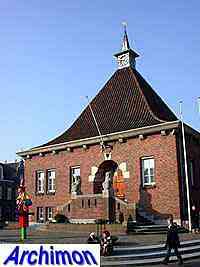 Town hall in Tradionalistic style, with tall stepped gable. 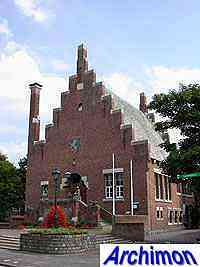 The first of a number of buildings around Waalwijk's town hall square Kropholler would design until 1962. The bricks used are of a special type, larger than usual. The stepped gable gives the building an instantly monumental appearance and is representative for much of Kropholler's work. An earlier design for the town hall shows a symmetrical building with a tower flush with the facade. New wing and chapel. 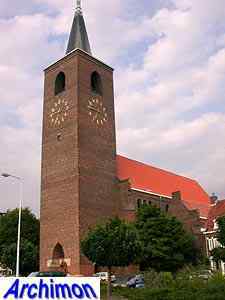 Design includes a church with two towers at the front, with another two towers at the back, which is not built. One-aisled church in Traditionalist style. Transept-arm on the southern side only, another arm was planned on the north side but not built. Compact church with an aisleles nave and a square crossing-tower flanked by chapels. The apse of the choir has a gallery. The facade was meant to be temporary; the planned tower was not built. 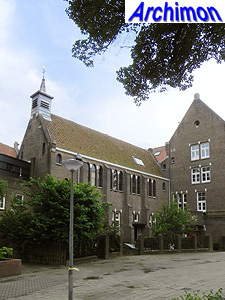 Convent with chapel and school. 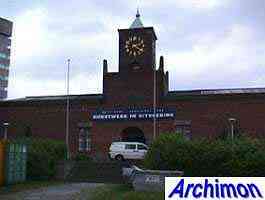 The building for this arts museum was commisioned by sigarfactory-owner H.J. van Abbe, hence the name. It makes a very closed appearance from the outside. A plan by A. Cahen in the 1990's to enlarge the museum by mutilating it was not executed. Design for a big complex on the site of a vanished medieval monastery. Only partly executed, and after World War Two completed by Koldewey. L-shaped complex in Traditionalist style, with chapel. Church with a tall tower in plain traditional style, enormous buttresses, clean brickwork and only a few pieces of natural stone. Three-aisled church, with a wide central aisle. Kropholler's ideal that a church should be at the centre of a neighbourhood came true here, as he also designed the adjacent houses. Three-aisled, towerless chapel with big buttresses. Demolished in 1986. 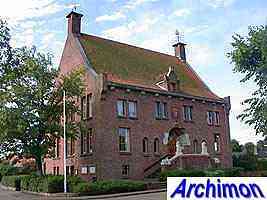 Similar in style to the town hall in Waalwijk. 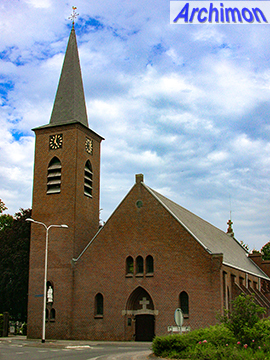 Three-aisled church in Traditionalist style, with square tower and rectangular choir. Octagonal chapel in Traditionalist style, built by commission of the Oxford Movement on an artificial hill on the Mariëndaal estate. Alterations to the exterior of a town hall dating from 1839. In conjunction with P.G. Elemens. Townhall in imitated 17th-century style. Building in Traditionalist style. Destroyed in 1944 and rebuilt in 1954. 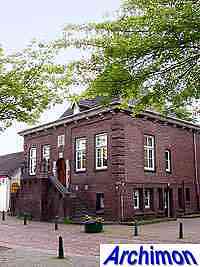 Building very similar to the town hall in Waalwijk. Town hall in Traditionalist style, with a bent saddle-roof. Three-aisled basilica. Side-aisles with gables at the front. Officially designed by architecture office Van Oerle en Schrama, in conjunction with Kropholler. It's possible that, considering his controversial role during the war, like many other artists Kropholler had difficulties continuing his career under his own name after the war. Designed in conjunction with R.J. Veendorp. Tall roof with small tower on top. 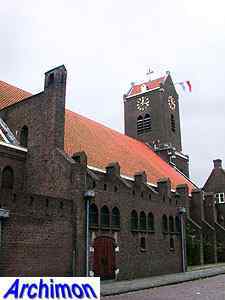 Three-aisled basilica, largely similar to the St. Franciscus in Nijmegen (1947). Side-aisles with gables at the front. Part of the original design was a tower, which was planned next to the front of the church but was not built. New wing and chapel for an older complex.